Homeowners are constantly bombarded with rising costs and inflation. New Orleans residents are looking everywhere for ways to cut back on everyday costs. As energy costs continue to rise, homeowners in the New Orleans area are looking to save on heating and cooling bills by reducing their energy consumption. One way to successfully achieve this is with replacing your windows with more energy efficient windows. 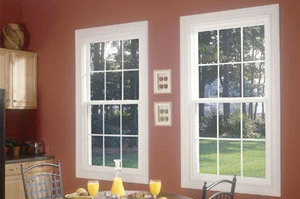 Energy efficient windows are a smart home improvement investment. Not only will they save you money each month, but they will add real estate value to your New Orleans home. Replacing your windows could save you as much as 50% on your energy bills. Whether you are looking to replace your windows or have new windows installed in your newly constructed home, call the expert New Orleans window contractors at Lowe’s Construction, LLC today. Our New Orleans window replacement team will give you a free quote and consultation on your next window installation project.